One of the great delights of using fountain pens is the little bottles of ink that you inevitably find yourself buying. These can often be beautifully crafted little perfume bottles with labels that look like they came straight from the 19th century. Diamine Ink is a British manufacturer of ink founded in 1864 as T. Webster and Co. Diamine boast that they have been “Ink Manufacturers since 1864 and relocated to a purpose built ‘state of the art’ factory in Liverpool in 1925”. 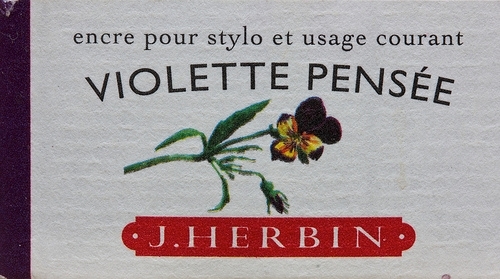 Diamine is a mere pup compared to J. Herbin, a French brand of fountain pen ink the oldest brand still in activity, working since 1670. J. Herbin made ink for Louis XIV, and a black ink for the sole use of Victor Hugo, author of The Hunchback of Notre Dame and Les Miserables. These formulas still reside in their company headquarters. 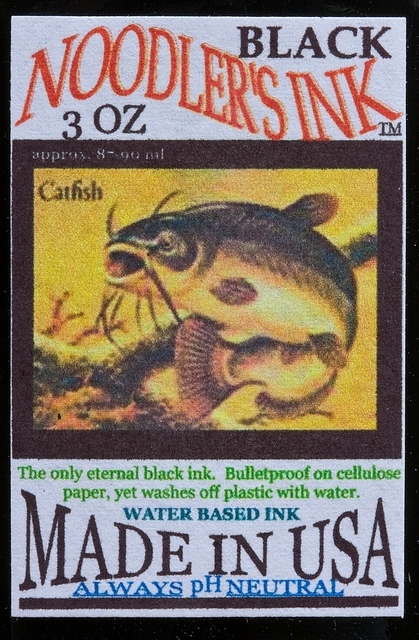 Noodler’s Ink is a brand of fountain pen ink developed by pen collector Nathan Tardiff. I particularly like the “bulletproof” range of inks they produce. 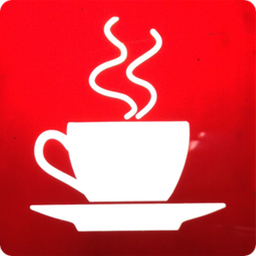 Such inks react with the cellulose in paper to form waterproof, solvent-proof, and UV-resistant marks. This is my favourite range of inks but it’s not one I would recommend for particularly valuable pens as it can stain them. Sheaffer’s Skrip ink dates from 1922, developed by Robert Casey. 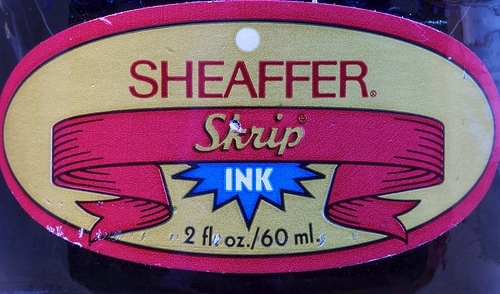 In 2008 Sheaffer changed the design of their Skrip ink bottles to a more modern conical design and changed the label from the one shown below. One of the truly old-fashioned touches of the earlier design is the ‘Skrip-Well’ that traps ink at the top of the bottle for easier filling. Skrip blue is fairly pale in colour which reflects a lower dye content, but the main reason it is recommended by many vintage pen people is that it has been around for many decades, almost unchanged in formula, and is apparently utterly reliable in quality. The two best places I’ve found to buys pens and ink in the UK are [Cult Pens] and The Writing Desk. It’s easy to imagine these bottles, or something like them, would have sat on Bob Cratchit’s desk.